Use the online search engine of car hire, Cartrawler, to find the most competitive car rental deals at Atlanta Airport, serving the state capital of Georgia in the US. Cartrawler works with all major car hire providers at the airport allowing you to compare thoroughly rates and rental conditions and to book the desired car online. Great Atlanta car rental deals are available on Cartrawler in a wide range of rental classes, from economy, through standard to premium cars to rent at the airport. Kia Rio is, together with Chevrolet Aveo, amongst the cheapest rental cars available at Atlanta Airport. Serving over 90 million passengers annually, Atlanta Hartsfield-Jackson Airport –ATL is the busiest airport in the United States and worldwide. It is located approx. 11 miles southwest of Atlanta city centre, in a thick network of motorways, which allow you to travel fairly easily to other larger cities of Georgia, such as Augusta, Savannah, Columbus or Macon (click to view map of Georgia). In a close proximity from the airport are located several hotels, amongst them Hyatt Place Atlanta Airport (South) and Hilton Garden Inn Atlanta Airport (North) as well as the Georgia International Convention Center. The airport has two terminals: Domestic Terminal, subdivided into Terminal North and Terminal South and an international terminal known as Maynard Holbrook Jackson Jr. International Terminal. A large majority of flights operated at Atlanta Airport are domestic. Major carriers are Southwest Airlines, Delta Airlines and Delta Connection. All Atlanta Airport car rental companies operate from a dedicated facility, the Hartsfield Jackson Rental Car Center (RCC). Inaugurated in 2009, the state-of-the-art car rental centre houses the offices of the car rental companies, parking area for nearly 9000 vehicles and the maintenance area with wash and fuel facility. The Hartsfield-Jackson RCC serves over 2 million customers per year. It is possible to rent a car at Atlanta Airport form the following companies: Advantage Rent A Car, Alamo, Avis, Budget, Dollar, Enterprise, EZ Rent A Car, Hertz, National, Payless, Sixt Rent A Car and Thrifty Car Rental Atlanta. Outside of the summer holiday season it is usually possible to find the cheapest rental cars at Hartsfield-Jackson Airport with rates starting from approx. £150 for a week car hire in economy class. With a fairly small price difference to the superior classes, however, it is often worth to consider renting a larger car in Atlanta. A standard class Chrysler 200 can often be rented in Hartsfield-Jackson from about £160 per week. If you are looking for an all American experience, Ford Mustang Convertible to rent in Atlanta is often very reasonably priced, from about £220 for a week. The Ford Mustang Cabriolet rental car is available in Atlanta Airport from Avis, Sixt, Thrifty, Alamo, Dollar, Europcar and more. Very competitive prices can often be found in the class of sport utility vehicles (SUV) for rent in Hartsfield-Jackson. The cheapest deals are usually available from approx. £180 for one week rental of a “smaller” SUV, such as for example the very popular in the States Ford Escape. Within the range of rental SUVs in Atlanta you may encounter also RAV4, Hyundai Santa Fe, Chevrolet Equinox, Ford Explorer, Chevrolet Traverse, BMW X1, Chevrolet Tahoe and Jeep Grand Cherokee. The prices vary considerably; always compare offers from several providers before booking. Hartsfield-Jackson Rental Car Center is located approximately 5 minute drive from the domestic terminal, across the Interstate 85 (at the address: 2200 Rental Car Center Parkway, Atlanta, GA 30337). Please note that it is impossible to walk to the RAC centre from the airport. It can be accessed from the domestic terminal via the ATL SkyTrain . Simply follow the signs to the ground transportation/rental car center and proceed towards the airport station at the west end of the terminal. There you will be able to board the SkyTrain (see map). The SkyTrain ride to the rental center takes approximately 5 minutes. Please note that the SkyTrain stops at Georgia Convention Center before reaching the car rental centre. 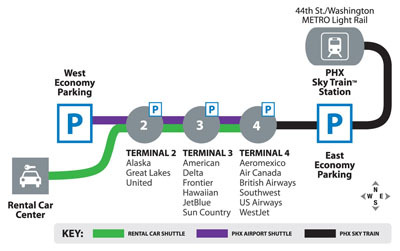 In order to get to the rental car center form the international terminal (Maynard Holbrook Jackson Jr. Terminal) use designated shuttle buses stopping at the curb in front of the terminal, at the arrivals level. Direct flights from the UK to Atlanta are available from British Airways and Virgin Atlantic, with departures from London-Heathrow. Compare offers from Hartsfield-Jackson Rental Car Center. SUV rental Atlanta Airport. How to get from Atlanta Airport to car rental center. SkyTrain Atlanta. Georgia Convention Center. International terminal ATL.